Okay, I’ll admit it. I am dreadfully and perfectly behind on basically everything right now. There were a million and ten things on my to-do list and after working diligently for the last month to catch up there are only a million and one left. Does it ever end? 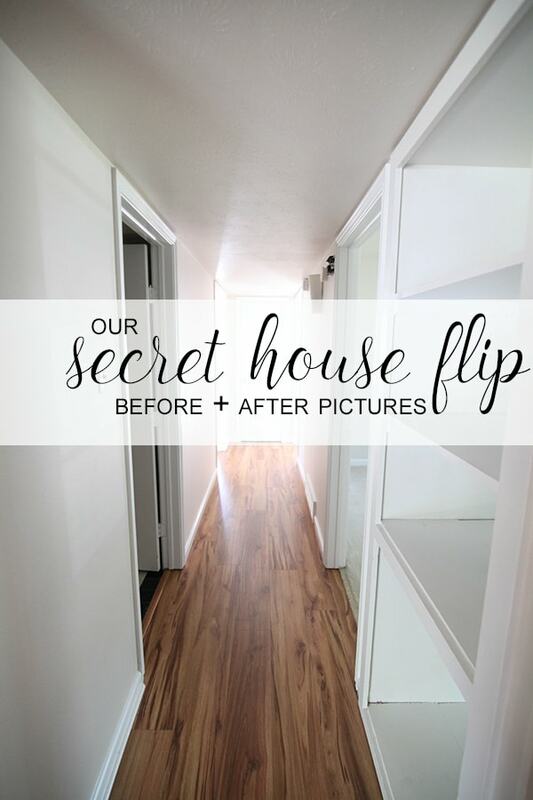 We do have one major thing checked off our list, however—the flip house I talked about in this post here is finished and sold! This one was another major success in our books—multiple offers the first day on market and sold for far over list price. Basically, Scott is the best realtor in Dallas. 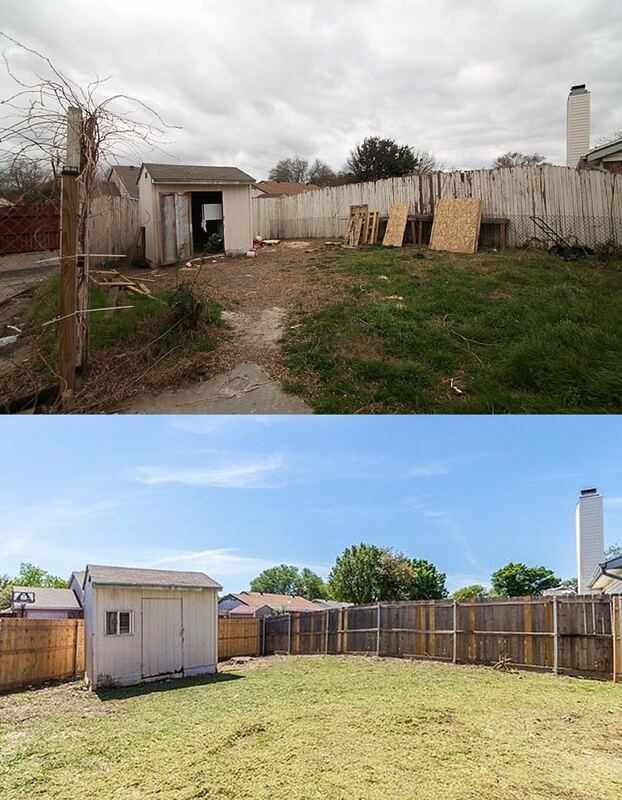 Also, maybe my design skills coupled with the crazy real estate market here sealed the deal. 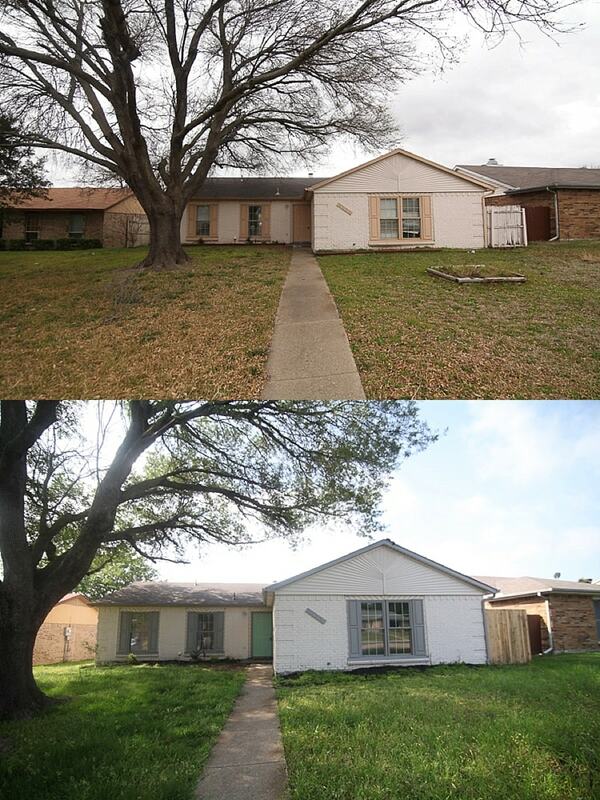 Either way, I have some before and after pics for you, which is the best part of any major overhaul! The kitchen was a hot mess when we started. We always joked that it was perfect for Scott when he was a bachelor, which was all of one day of owning this house before we met. Yes, we met the day after he purchased this one—how fun is that? 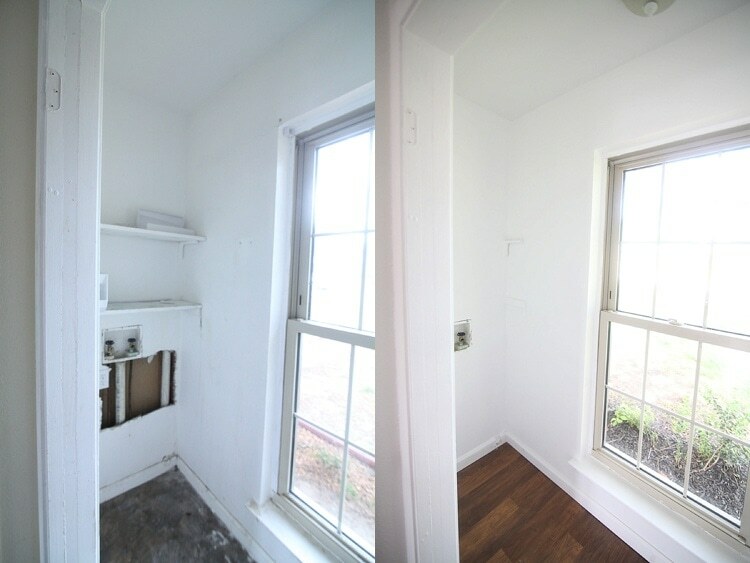 🙂 The main thing I wanted to do to this little space was extend it—you can see in the photos below how we left the support beam on the left side but also added 2 additional cabinets. 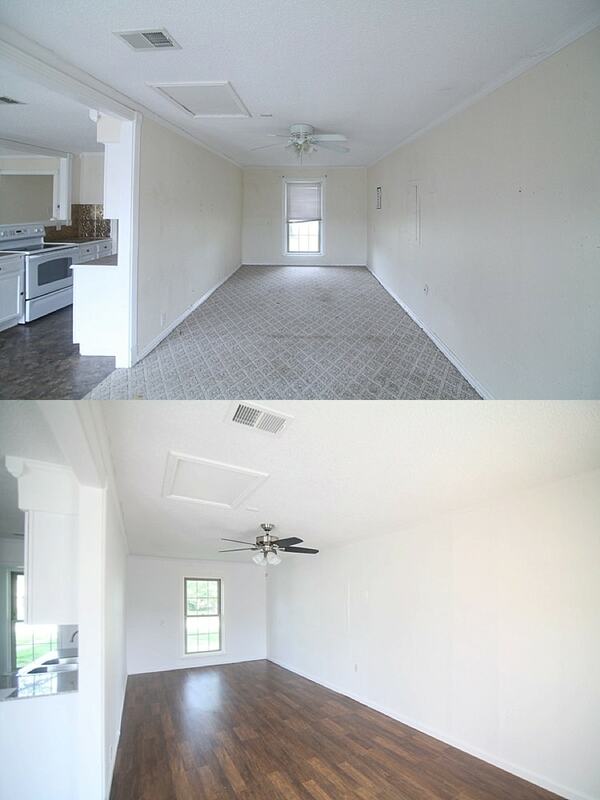 We also added the same laminate flooring to all the common areas to help the layout flow and transition better. This awkward little space is a converted garage, and rather then attempt to make it anything, we just decided to give it a good cleaning and a facelift. Much better! The bedrooms used to feel REALLY disgusting with animal feces stains (ICK, thanks renters…) in the carpet, walls all scribbled on, dust and dirt everywhere. The writing was literally on the wall—the rooms needed a makeover desperately. 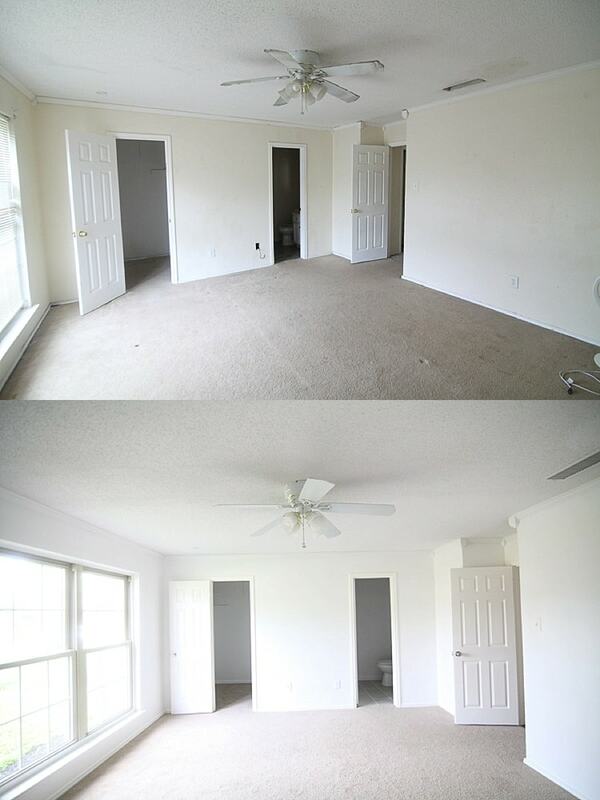 The carpet was not salvageable, and even if it was we’d feel morally wrong selling a house to someone that had a carpet that gross. 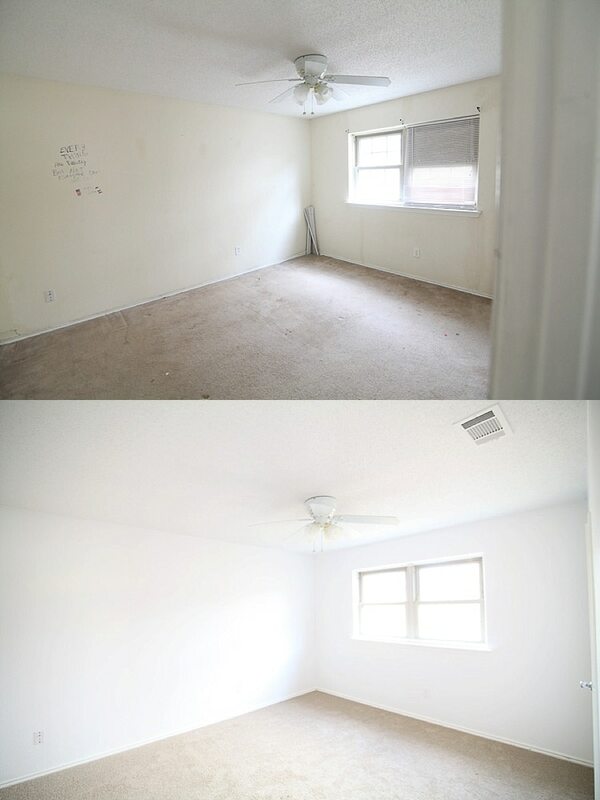 So, we fixed up all three bedrooms with brand new carpet. The bathrooms and the laundry room both got a makeover too! The laundry got new flooring, drywall and paint, while the bathroom got brand new tile, new tubs, toilets and vanities. 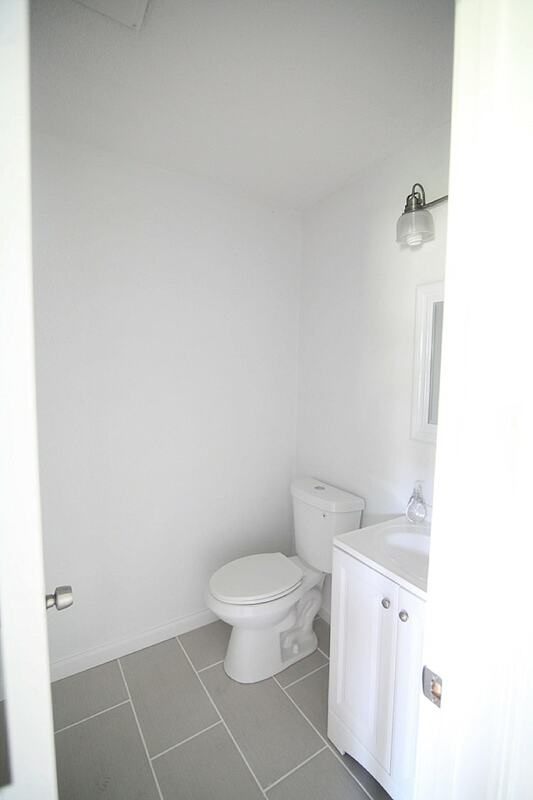 I can’t find the before picture of the bathrooms anywhere, but here’s a pretty after picture…I ADORE that tile! -landscaping – watered the grass so it grew again! 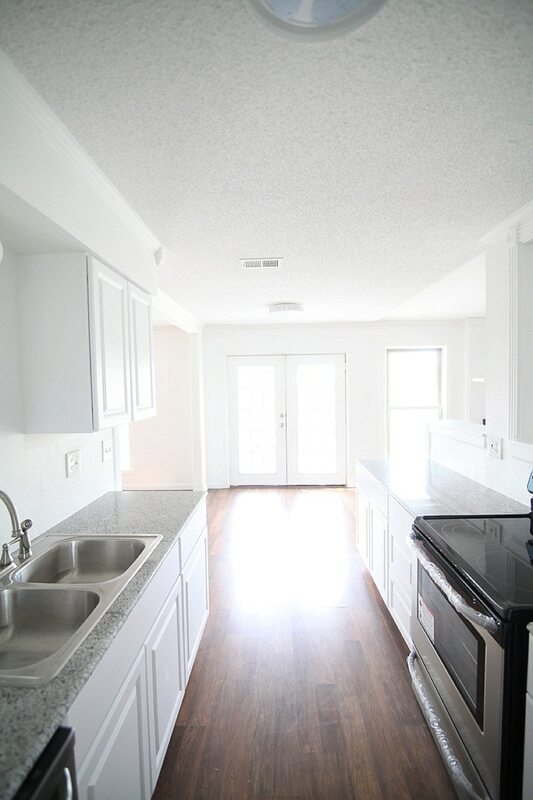 Want to see more of our flip homes? Click below! 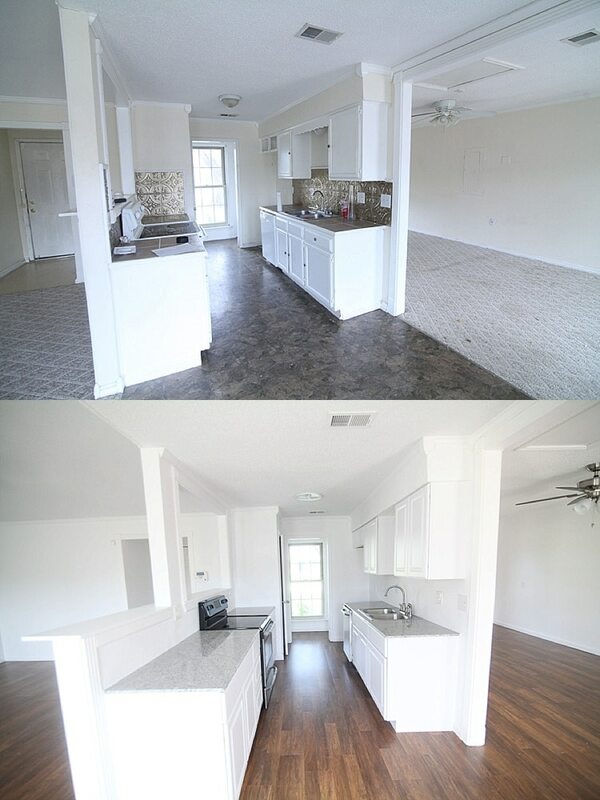 The craziest house flip we have ever done! 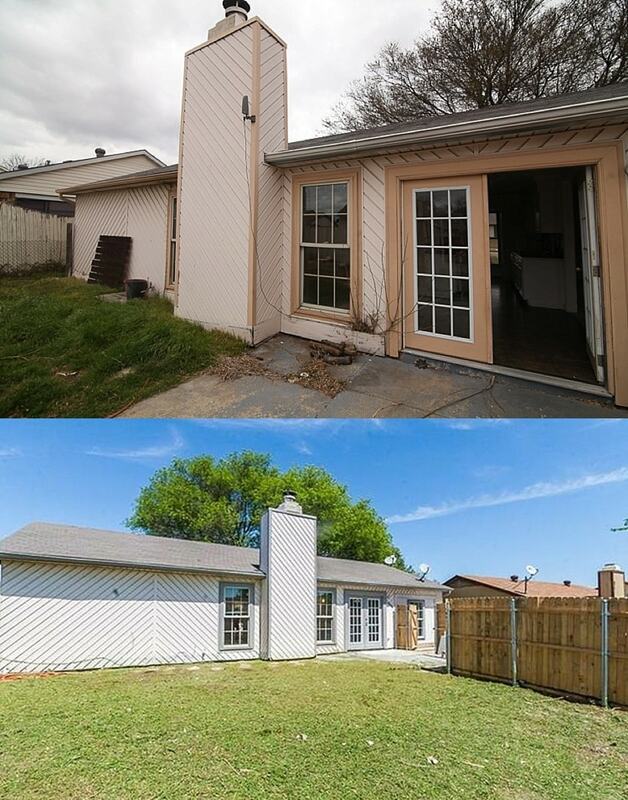 We had a secret house flip. It was awesome. Wondering how we sold our homes so quickly? 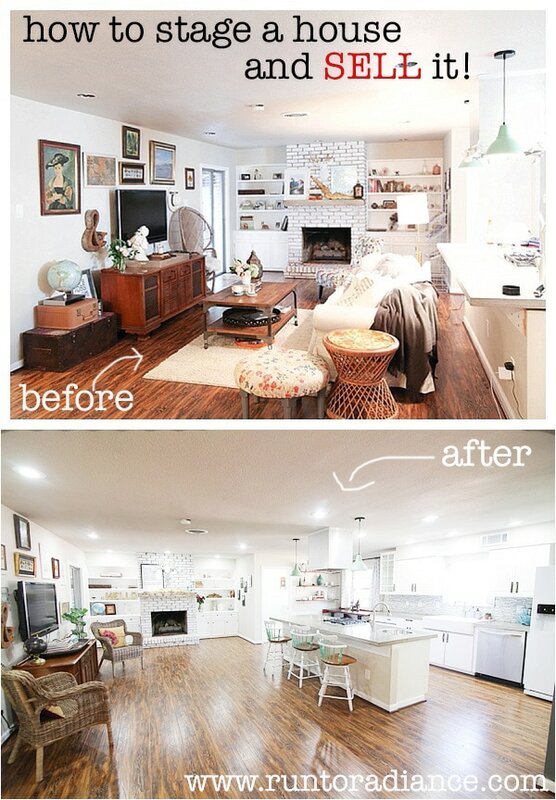 Here are the staging secrets you NEED to know! Living in a construction zone has zero glamor to it. Here’s how to survive with grace! Wow! Everything looks so great. I especially like the bathroom tile. 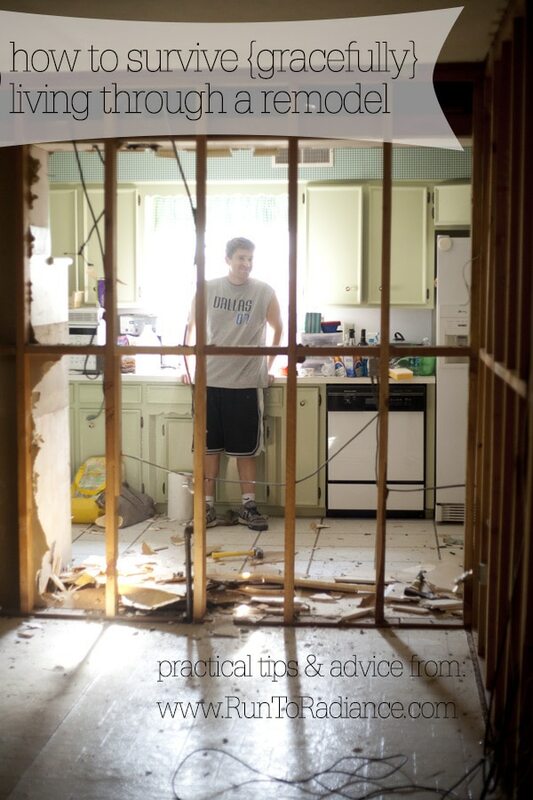 We’ve picked out a similar 12×24 inch tile for our laundry/mud room. It’s such a fun design! 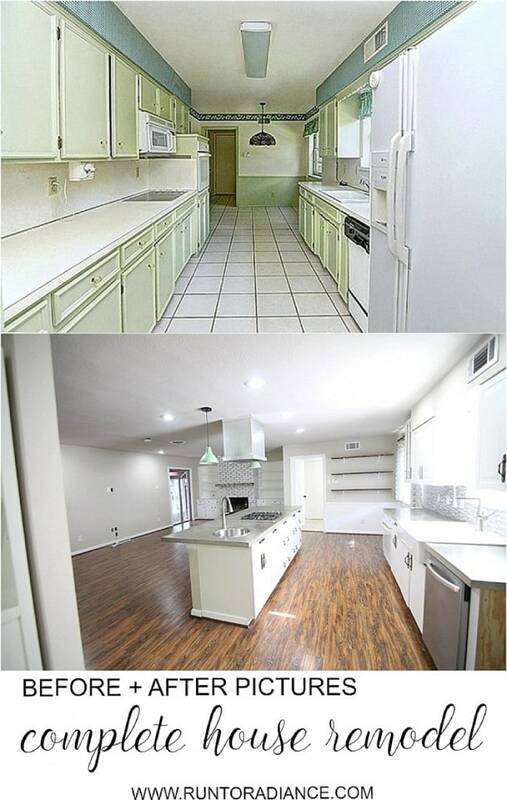 The house looks sooo much better. 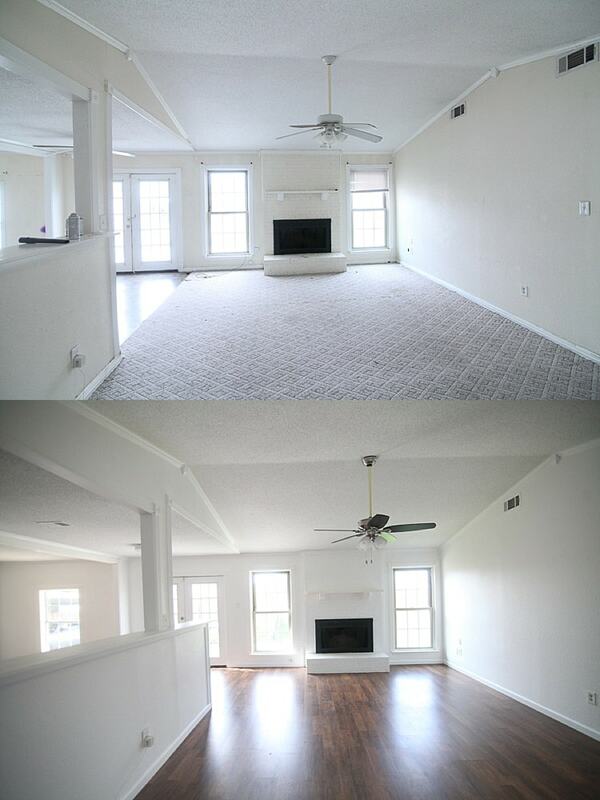 Question: Am I still seeing popcorn finished ceilings? Do you take down the popcorn, and if not, then why? I took mine down 7 years ago during a remodel and it’s one of the first things people notice when they come in. Smooth ceilings! Not judging, just asking. It looks amazing! Great job! This is super. I love the new look you have given it. WOW! So clean & fresh. I love house flips. Great job! I am now a fan of your site and happy to visit from Funtastic Friday! Come see me at my site sometime. I would love to feature you in a post one day! It looks so good! You did great work. What a great team you two make! Congratulations!